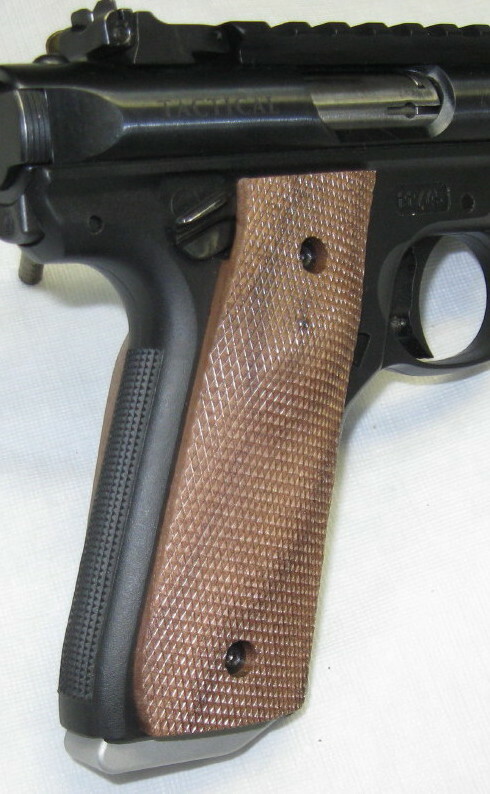 - Classic, checkered walnut, thumb rest target grips fit the Ruger Mark IV 22/45 polymer frame pistols. These grips have a graceful thumb rest on the left side and a gentle palm swell on the right, features that help position your hand the same way for every shot. 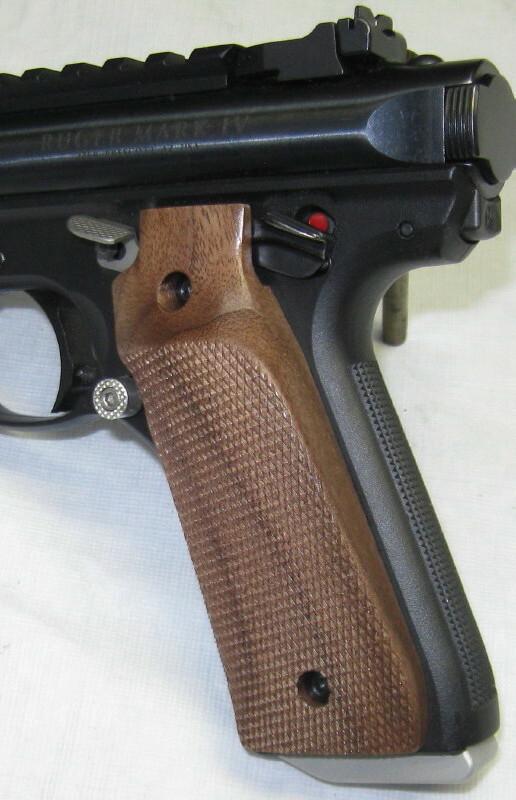 The checkering is edge to edge and just as beautiful as the wood. 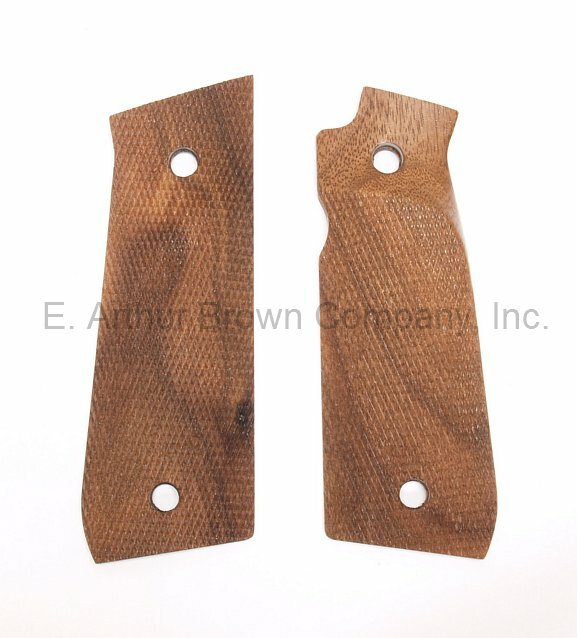 - These grips fit the Ruger Mark IV 22/45 polymer frame guns. Nicely cut but if you have any add ons to you 22/45 they may not fit. I could not use the extended safety with these grips so left them off. Also, the palm swell on the inside (right) seemed to be placed too high on the grip.